Time for explanations and apologies. Sometimes I feel like drawing angry Arabelia is sort of therapeutic to me. I find it hard to get angry and talk back to people, so it feels liberating to do it through her. And very wise words here! Trust is something they need when investigating a conspiracy that possibly involves some of the library staff. Definitely! Without trust in each other, the investigation team would fall apart. And it’d be in great danger, of course. <3 <3 <3 I love her angry face. I feel like Arabelia is very conflicted… She wants sleep, should be angry, is actually angry (because sneakiness and possibly because she still wants to sleep) but also wants the info. *^_^* Thanks! 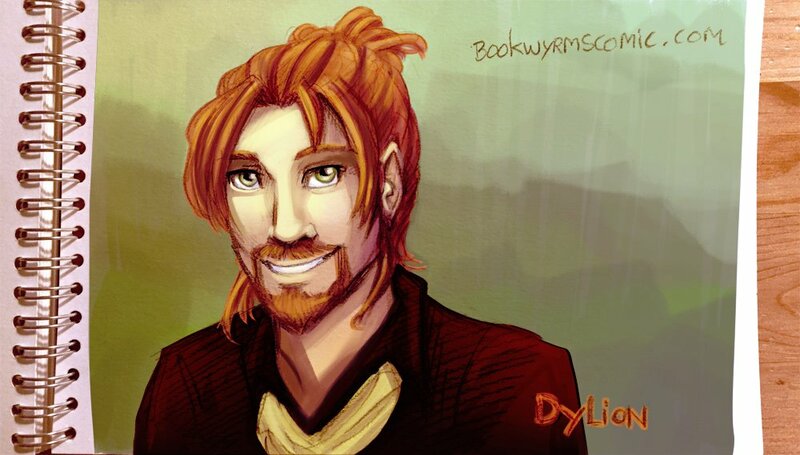 He *is* dashing! Arabelia really is conflicted there but, like you say, priorities xD Also I felt like giving them the chance to explain their findings now would diminish the "scolding" impact, as they would forget about it the moment they start talking about the case. 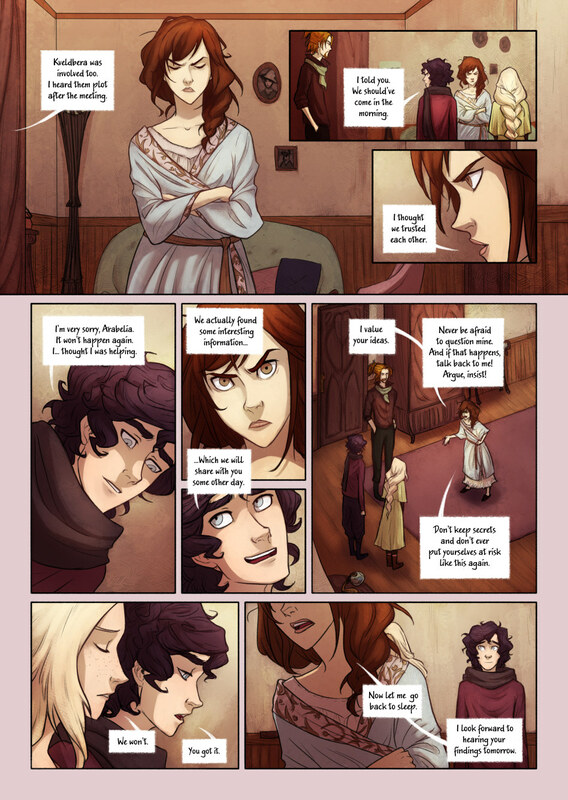 I figured Arabelia would prefer them to have some time to think about what they did and what she just said to them. 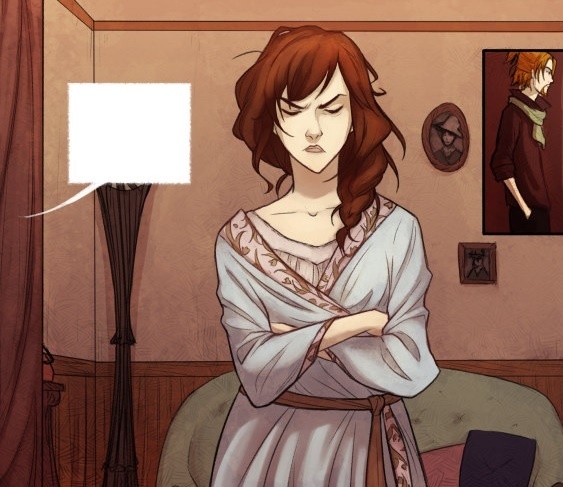 I’m chuckling because I made a trimmed edition of panel one to illustrate the post I make on my blog to announce every new page, and this one looks like Arabelia has a portrait of Dylion on her wall‼ https://uploads.disquscdn.com/images/e2075542470bb9065ff9bf6aafc389d55b7942b8baa32ffd441d3891ef72bdfc.jpg P.S. : I wonder if it’s full of holes from all the darts she throws at it? i doubt theyll be on their best behavior from now on. If you figure out how to be assertive rather than angry, please let me know, I’ve been trying to work it out for decades now.